Fees have practically become a way of life when you fly, from checking bags to snacks. On "The Early Show" Tuesday, Travel + Leisure magazine International Editor Mark Orwoll looked at an array of new fees carriers are assessing, and one from Carnival Cruise Lines that may be adopted by others in that industry. Orwoll pointed out that Continental Airlines is introducing "Farelock," which enables travelers lock in the price of their ticket for a few days before actually buying it. What is Continental's new Farelock system? It lets passengers to put a hold on their reservation and ticket price before paying for it for three days or up to a week. And, they're charging for that privilege. If you want a three day hold on a ticket, they'll charge you $5 and $9 for a seven day hold. Is this beneficial to a traveler? A lot of times, we'll see a good airfare and want to make a reservation but don't want to end up having to change it and pay a major change or cancellation fee (typically between $100 and $150). Farelock enables you to actually hold the ticket at a price that you've found and like and, in that sense, is a good idea. It's unlike so many other surcharges that airlines have introduced over the past few years in that those charges are added to services that we used to get for free. This is a service that's never been offered before, so I don't have much of a gripe with it. Is there anything to be concerned about with the Farelock system? Something that people may not know is that Continental already has a 24 hour flexible booking reservation system in place that enables you to make your reservation on a Monday morning and, if you change your mind, you can call them back on Tuesday morning and cancel that reservation. That doesn't charge a fee and has always been a part of their booking policy. So, in effect, they're charging you $5 for an extra two days because you've already gotten one day for free. Also, all the airline has said so far is that these prices are dependent upon the actual itinerary of the passenger and how soon the passenger will be travelling. So, who knows? If you're only making your reservation a week in advance, these fees might go higher. That's a real issue. The bottom line on Continental's fare fees? Under Farelock, you can lock your fare in for 3 days for $5, and 7 days for $9, but you can also get one day, without Farelock, for free. They're definitely going to be keeping an eye on this. There has not been one single fee introduced by any airline that hasn't been taken up by all of the other major airlines except for the carry-on bag fee that was introduced by Spirit Airlines. They're the first and only domestic airline to start charging for carry-on bags that go into an overhead compartment. They took such a drubbing in the press that Secretary of Transportation, Ray LaHood even came out and said, "I don't think they care about their passengers." That's heavy duty. Because there was such a negative reaction to it, none of the other airlines have implemented that same fee. 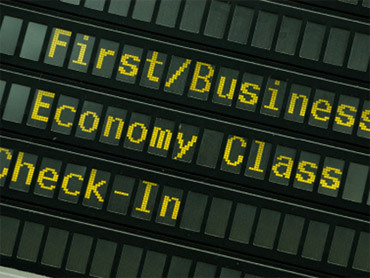 In 2011, airlines are expected to earn $22.6 billion in ancillary fees. Of those, $2.5 billion will be from luggage fees domestically. What amazes me about Continental is that a lot of us figure there's not much more that the airlines can charge for, but realistically, somebody's being very creative in finding new ways to charge. One of the latest fees is on holiday travel surcharges. Airlines are now adding about $10 to each ticket on peak travel days for holidays like Thanksgiving and Christmas, and even over much of the summer, as well. I don't like it, because they're folding that surcharge right into the price of the ticket and it's nothing that you have any control over. You can't even know it's happening unless you go online to their sites to see what days they're charging that holiday travel surcharge. And there are now charges on frequent flyer rewards miles? Weren't those incentives to travel? Now, virtually all of the major airlines charge you for using frequent flyer miles. I flew out of Phoenix last month on a red eye flight and decided to upgrade from business class because it didn't cost that many miles. Unfortunately, they charged me a total of $250 to use those miles. What's the point of them? That's a good question. They give away so many miles these days, it's like printing money. The more you print, the less valuable they are, so the only way the airlines can make money on giving the miles away is by charging cash for their use. The owner of no-frills Ryan Air, one of the largest airlines in the world in terms of the number of passengers it flies, swears he is going to charge a toilet fee. He's even got it priced out: one euro or one pound sterling, depending on where you take off. He wants Boeing to redesign the aircraft to remove two out of the three toilets you have on a plane to make more seats. How is it that airlines are charging all these fees? Simply because they can. Shortly after the industry suffered from bad times following 9/11, fees began cropping up as a way of making up lost revenue. The early ones were for fuel shortages. That's what really sparked this trend. Over the last five years ,it's really kicked in when they started charging for checked baggage. Now, it's become a matter of who can come up with the newest fee. It's a race between the airlines now, but Southwest Airlines has been a stalwart and been the best to its passengers. Any bright spots for consumers? The airline industry has tacked on so many surcharges in the last five years that it's next to impossible for a passenger to figure out in advance every possible surcharge that they might be hit with before they get to the airport. Literally, you might not find out you have to pay $25 for that first bag you check and $35 for the next. It all depends on the airlines. A single airfare from one airline is not equivalent to the same airfare from a second airline. You don't know what you're paying for or what extra fees you're going to have to pay. In the end, the consumer can't be sure what the final cost of his airfare will be until after he's already paid. The Federal government has finally realized that these fees have gotten out of control. It's very likely that the Department of Transportation will be enacting laws in 2011 to make the airlines transparent. What about the cruise lines? Cruise lines have seen an increase in passengers every year except for a big dip they faced following 9/11, much like the airlines. Interestingly enough, they've kept their prices very stable. In 1995, you could get on a cruise for between $100 and $200 per day per person and that's something you can still do today. But, that's starting to crack a little bit. Carnival has just introduced a new "a la carte" pricing for food on some of its cruises. Whereas most cruises have traditionally been all-inclusive for meals, they're now starting to change the rules. I'm afraid that the success of the airlines surcharges has affected a lot of the travel industry and now the cruise lines are starting to look at how such a plan might work for them. Certainly the hotel and resort industry has already hooked onto it for the past decade. They've been charging outrageous fees, even to the point of charging for pool towels. In light of the major issues with the cruise industry in the last few weeks, any advice for travelers? To protect yourself from these things, my advice is to get a basic travel insurance plan. For cruising, these are really important. If at the 11th hour anything should happen (i.e. you get sick, have to cancel), you stand to lose between $2,000 to $3,000 a person. The good news is that there are travel insurance plans that cost between 7 to 10% of the total value of your trip that cover trip cancellation, trip interruption (i.e. if you are in the middle of your trip and need to return home), and even some that provide emergency medical evacuation insurance. If you had to undergo an operation and were visiting Columbia, would you want the operation there or would you prefer to get medivacced back to Miami, Florida? You want to take these things into consideration. While Royal Caribbean initially only offered a small credit to passengers who experienced the rough waters on their way Alexandria, Egypt (and are now giving full refunds to their guests), an insurance plan provides financially for you independently of the crusie line.